We are very grateful to those archivists and professionals who contributed case studies to The Interactive Archivist. They all brought their own unique backgrounds and experiences to the project, and it is through their hard work that this project has been a success. Michael Church is Digital Initiatives Coordinator for the Kansas Historical Society (KSHS) in Topeka, Kansas. He holds a master’s degree in U.S. history from the University of Utah and was a processing and reference archivist for the Utah State Archives in Salt Lake City from 2002 to 2005. Hired by KSHS as a processing and reference archivist in 2005, he has headed the Digital Initiatives Section since 2007. Tiah Edmunson-Morton is the Reference and Instruction Archivist at the Oregon State University Archives. Tiah oversees the University Archives’ reference and instruction activities, is the project manager for OSU’s Flickr and Flickr Commons accounts, selects and prioritizes items for digital collections, and coordinates digitization projects with staff in the Digital Production Unit and Library Technology. She serves on the Libraries’ Instruction Working Group and Usability Team. Additionally, Tiah has been a member of the Northwest Digital Archives’ usability group since 2006 and has served as the group’s chair for the last two years. She is currently the president of the Northwest Archivists and assistant editor of Easy Access. She holds her MLIS from San José State University, bachelor’s and master’s degrees in English literature from Miami University, and became a Certified Archivist in 2007. Mary W. Elings is head of digital collections at the Bancroft Library, University of California, Berkeley. She manages creation and distribution of digital collection materials and serves as chair of the Bancroft Web Initiatives Committee, which is exploring ideas and policies for implementing Web 2.0 technologies within Bancroft. Arcadia Falcone is a digital collection assistant and processing archivist at the Bancroft Library, University of California, Berkeley. In addition to social media, her interests include metadata practices for digital archives. Jeremy Heil has been the Technical Services Archivist at Queen’s University Archives since 2001. He is also the project coordinator of the Stones Project, and archivist for the Kingston Historical Society and the International Hockey Hall of Fame. He holds a master of archival studies degree from the University of British Columbia and a BA in history and visual arts from Brock University. Prior to working at Queen’s, he was employed as an archivist with the Chung Collection in Vancouver, and in the Private Records Section of the Provincial Archives of Alberta. He is a past president of the Archives Association of Ontario (AAO), and has served as chair of numerous committees with both the AAO and the Association of Canadian Archivists. Frank Huntley, MA, MSc, is the Manager of the Kingston Area Network, a community organization whose goal is to use technology to foster the social, cultural and economic growth of Kingston and Southeastern Ontario. He has been working in applying technology to the health and social sciences for twenty-five years, on projects ranging from online health communities to providing Internet access to the digitally disadvantaged, to assisting small technology companies start up. His most interesting projects are: (1) StonesKingston, a social history of his hometown through the eyes of various minority groups; (2) autismConnects, an online community to support the research and dissemination of information that will help families deal with the challenges of autism; and (3) SmartCharts, a system for supporting multidisciplinary health clinics through specialized electronic medical records. Polina E. Ilieva, CA, is Project Archivist at the University of California, San Francisco (UCSF) Library and Center Knowledge Management responsible for the multimedia collection of the Legacy Tobacco Documents Library (LTDL) that includes more than 7,500 tobacco industry video and audio recordings. She selects, orders, and processes multimedia materials from Tobacco Documents depositories in the United States and the United Kingdom. 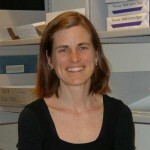 She also submits audio and video recordings to UCSF collections on the Internet Archive; currently, there are more than 1,100 items available for users worldwide. She is a proponent of Web 2.0 tools adaptation by the archives, created several podcasts showcasing the LTDL multimedia collection, and set up the “ltdlmultimedia” channel on YouTube. She initiated the project that utilized social bookmarking sites to promote and publicize this collection. Prior to joining UCSF, she was an archival specialist working on the Radio Free Europe/Radio Liberty Records at the Hoover Institution Archives, where she was also in charge of their archival Web projects. She holds a master’s in international relations and a PhD in history (Philippine Studies) from the Moscow State Institute of International Relations (Russia), and a certificate in internet design and technology from the Multimedia Studies Program at San Francisco State University College of Extended Learning. Polina is a graduate of the Western Archives Institute. Russell D. James, CA, holds master’s degrees in history and library and information science. He has been an archivist for seven years and has published on archival topics in Provenance: The Journal of the Society of Georgia Archivists and the Journal of Archival Organization. He is the owner of the “Records Junkie” blog. Jeanne Kramer-Smyth is the author of Spellbound Blog. A recent graduate of the University of Maryland’s iSchool Archives, Records and Information Management program, Jeanne comes to the field of archival science with over eighteen years of experience designing relational databases, creating custom database software, and participating in Web-based software development. She has brought her great interest in information visualization, structured data, and helping individuals find what they are looking for to her studies. Jeanne currently holds a position as a metadata analyst within the Interactive Technology division of Discovery Corporation. She divides her time between doing search engine optimization (SEO) for Discovery’s network websites and working on taxonomies and controlled vocabularies. Ann Lally is the Head of the Digital Initiatives program at the University of Washington Libraries, where she is responsible for the coordination of digital-based projects throughout the University of Washington Library system, including the implementation of an institutional repository service. She is also involved in the Libraries’ Digital Scholarship initiative activities, which include new media documentation and access, and digital publishing. She is currently part of a group working with the UW Press in exploring ways libraries might help reframe traditional humanities monograph publishing. Her current research is focused on the “social life” of digital images—what happens to archival images once they leave the confines of our analog collections? Kevin B. Leonard is the University Archivist of Northwestern University. He holds degrees from Northwestern and has worked in the archives of that institution since 1980. He has held elective office in the Midwest Archives Conference and in the Chicago Area Archivists, served on many committees and task forces of professional associations, written for and edited archival and library publications, and spoken at archival conferences. Philip F. Mooney has directed the Archives Department at The Coca-Cola Company since 1977. He had previously served as an archivist at the Balch Institute for Ethnic Studies in Philadelphia and at Syracuse University. A Fellow of the Society of American Archivists, he has written extensively on business archives in North America and has co-taught a workshop on business archives for over twenty years. His most recent publications include a chapter in Leading and Managing Archives and Records Programs (2008), edited by Bruce Dearstyne, and an entry on corporate archives for the forthcoming Encyclopedia of Library and Information Sciences. John M. Murphy is Curator for 20th and 21st Century Western and Mormon Manuscripts in the L. Tom Perry Special Collections, Brigham Young University. He earned a MSLIS degree (archives concentration) from Simmons College and a master’s degree in Comparative History from Brandeis University. He is a past president of the Conference of Intermountain Archivists, past president of the SAA Security Roundtable, and a past member of the SAA Congressional Papers Roundtable Steering Committee. He has also served on the SAA Ethics Committee. He is particularly interested in increasing patrons ability to access our collections. Rachael Cristine Woody is the archivist for Linfield College Archives where she is primarily working with the Oregon Wine Archives collection. She was recently archivist for the Freer Gallery of Art and Arthur M. Sackler Gallery, Smithsonian Institution from January 2008 until October 2011. 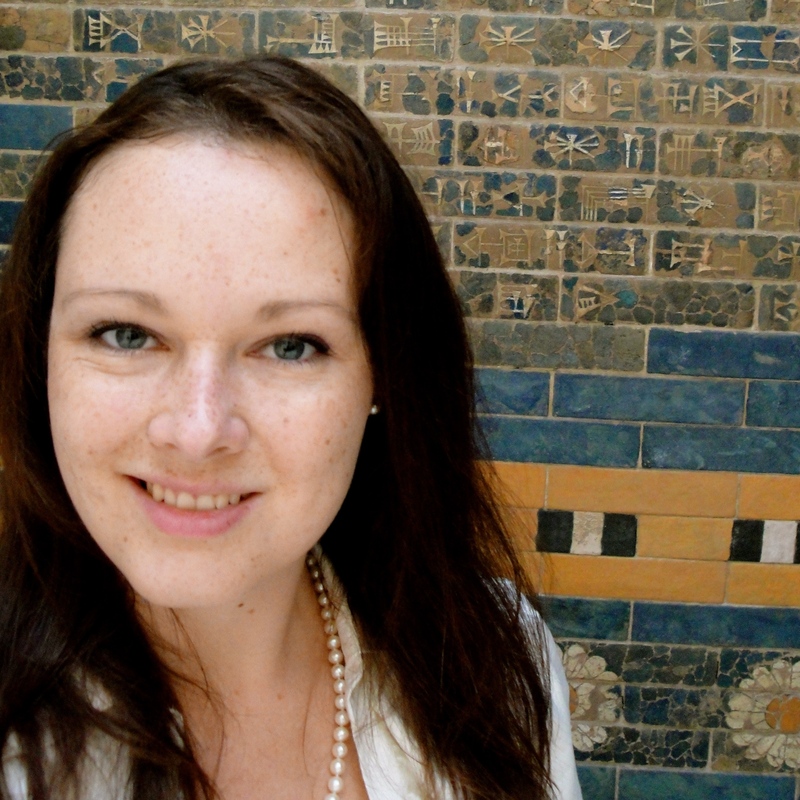 While there, Rachael chaired the Smithsonian Institution Archives and Special Collections council and was the Smithsonian Collections Blog coordinator for its inaugural 2010-2011 year. Her research interests are exploring innovative outreach avenues, implementing Web 2.0 and social media into workflow processes, and critical thinking on archives evolution. She received an MSLIS with an archives management concentration from the Graduate School of Library and Information Science at Simmons College, and a BA in history from Pacific University.